The UN Secretary General, Ban Ki-moon, has given a damning assessment of human rights in Iran, highlighting the “alarming rate” of executions and saying little progress has been made under President Hassan Rouhani. In spite of his achievements on the international front, most notably reaching last year’s landmark nuclear deal, Rouhani’s promises of domestic improvements have stalled in the face of resistance from hardliners. Ban’s 19-page report, released this week, says he remains “deeply troubled” by accounts “of executions, floggings, arbitrary arrests and detentions, unfair trials, denial of access to medical care and possible torture and ill-treatment”. 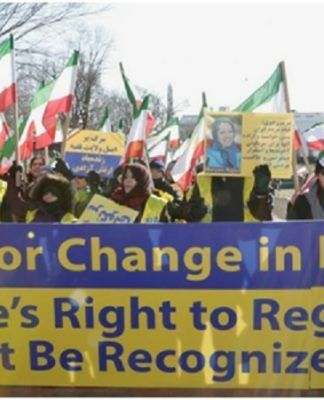 Rights violations in Iran are largely carried out by a hardline judiciary and an intelligence apparatus that acts independently of Rouhani’s government. But as the public face of the country, the president still has a huge influence and critics say he has put the issue on the backburner. The government’s intelligence ministry has also handled a number of cases that have come under fire. The UN says the rate of executions in Iran – at least 966 people were sent to the gallows last year – remains a huge source of concern. Most of the executions are related to drug offences but trials “fall short of the international fair standards”, Ban’s report finds. Despite reforms in the penal code, Iranian courts continue to sentence juvenile offenders to death in defiance of international treaties, it adds. This week, at least 100 MPs in Tehran put their names to a proposal to commute the death sentences of such drug smugglers to prison terms, but it is unclear how successful it will be. Iran’s judiciary chief said last week that it was not possible to abolish the death penalty for drug offenders. Ban’s report also highlights the plight of journalist and human rights activist Narges Mohammadi, who recently had her 16-year jail sentence upheld in an appeals court. Mohammadi is locked up partly because of allegations of “establishing and running the illegal splinter group Legam”, a grassroots organization advocating the abolition of the death penalty in Iran. The deteriorating conditions in Iranian prisons – where the use of solitary confinement is widespread and many prisoners, especially those held on political grounds or because of their beliefs, are at times denied proper medical treatment – is also criticized by the UN chief. Mohammad Ali Taheri has been in solitary confinement since May 2011 for establishing a spiritual group called Erfan-e Halgheh and promoting beliefs and practices that the authorities deem un-Islamic. Sources close to Taheri have said he is planning a hunger strike in protest at the authorities’ refusal to release him. Members of Iran’s Bahá’í community, described as “the most severely persecuted religious minority” in the country, face discrimination in various areas, including access to higher education or simply work. Last month, at least 14 Bahá’ís were arrested in the city of Shiraz. Faraz Karin-Kani Sisa, 19, was the latest Bahá’í student to be expelled from university because of his faith. Another man, Kamran Aghdasi-Yekta from Hamadan, had his motor-maintenance shop shut for four years because he was a Bahá’í.